It’s been quite a ride for the Duke Blue Devils during the 2015-16 season. Duke started the season ranked No. 5 in the AP Poll and has seen a roller coaster of rising and dropping in the rankings. That includes two weeks unranked in the start of February. The Blue Devils have worked their way back into the rankings and now sit at No. 15 heading into the final week of the regular season. Duke will finish off the regular season with two home games at Cameron Indoor Stadium. The two games, though, will be vastly different in price and anticipation. The final week will start with a game against the Wake Forest Demon Deacons. Wake Forest is 11-18 on the regular season, but just a paltry 2-15 in conference play. The Demon Deacons would be last in the ACC if it were not for the Boston College Eagles, who have yet to record a conference win. On Tuesday night, Duke will host Wake Forest for an 8pm start and a game with a $221.85 average price on the secondary market. The get-in price for the game is $121. Duke will then end the regular season with its biggest rivalry game against the North Carolina Tar Heels on Saturday. Duke and North Carolina played just two weeks ago at Dean Smith Center when the then-No. 20 ranked Blue Devils defeated the then-No. 5 Tar Heels by a final score of 74-73. Since then Duke has risen to 15th in the polls, while North Carolina has dropped slightly to No. 7. It will not be easy or cheap to get into Cameron Indoor Arena on Saturday. 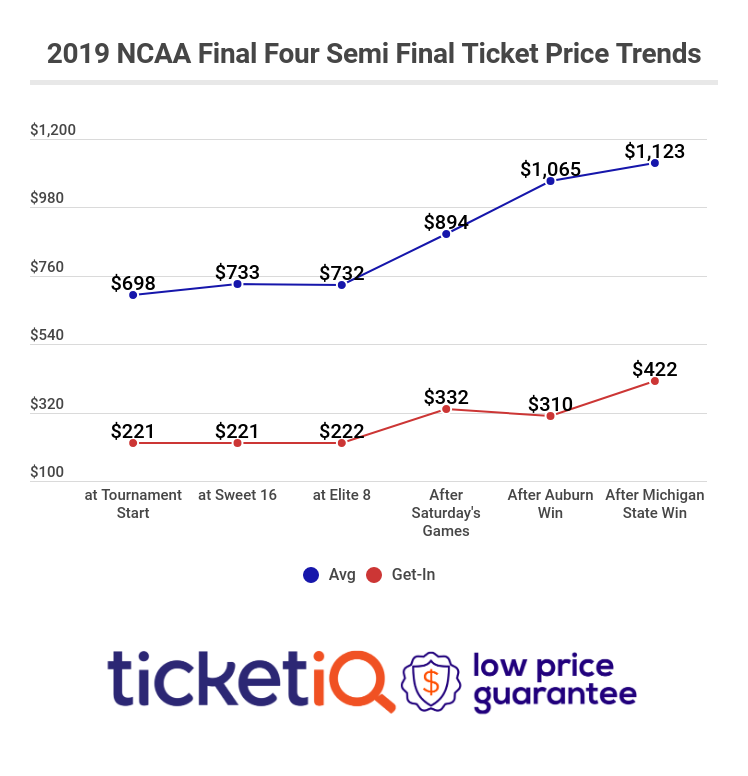 With an extremely limited amount of tickets available on the secondary market, the cheapest seat is listed for $1,079. Another upset win for the Blue Devils could be a big help for standings for the ACC Tournament, which starts March 8 at Verizon Center in Washington, D.C. Duke currently sits as the No. 5 seed in the conference with a record of 10-6 in the ACC. Virginia and Louisville are a game ahead at 11-5. The Blue Devils are a lock to make the NCAA Tournament win or lose in the Conference Tournament, but another ACC title would be a nice way to kick off March and roll into the rest of the madness.